You are currently browsing the archives for the Windows Live category. WindowsÂ® Azure is a cloud services operating system that serves as the development, service hosting and service management environment for the Azure Services Platform. Windows Azure provides developers with on-demand compute and storage to host, scale, and manage Web applications on the Internet through MicrosoftÂ® data centers. To build these applications and services, developers can use their existing MicrosoftÂ® Visual StudioÂ® 2008 expertise. In addition, Windows Azure supports popular standards and protocols including SOAP, REST, and XML. Windows Azure is an open platform that will support both Microsoft and non-Microsoft languages and environments. Â What is the Azure Services Platform? With the availability of rich media such as onlineÂ video becoming more and more important in day-to-day life the Windows Live team have come up with a pretty neat idea to share video with a friend through Windows Live Messenger. Messenger TV is born: Launching in 20 countries (Surprisingly not theÂ U.S)Â and in 12 languages, Microsoft hopes to lure a few more people away from youtube and onto the MSN powered service. To give it a whirl simply open up a convo with a friend, click activities and select Messenger TV. If you cant wait to try it with a buddy you could add the bot (MessengerTV@live.comÂ [click on the link to add]) and it will take care of the rest. Microsoft’s Windows Live SkyDrive (formally Windows Live Folders) launched their public beta late last year. It is an online storage service for sharing files and links… and NOW it’s also an online repository for spammers to host links to their electronic junk-mail/spam. The service lets you save information online for personal use; share information with select people based on their Live ID, with either read or contributor permissions; and makes content available to anyone via web-links. The Live SkyDrive interface is simple and intuitive, and the service currently enforces a 1GB limit. As of late spammers have been abusing this service by taking advantage of a loophole (of such) within the Sky Drive system itself. So how do they do it? Spammers simply create a free SkyDrive account and upload a simple html file that redirects the unsuspecting viewer to a respiratory of pills and meds for sale (how clichÃ©). So what makes services like these worth abusing and attractive to spammers? Usually spammers use compromised servers in foreign countries or bonnets to send out their spam, however utilizing file sharing sites (such as SkyDrive) is not the newest trick in the book, this one just got hit…hard & suddenly. Another interesting point is the number of times we trapped each URL was interestingly low for such a big campaign, I’d therefore estimate they had tens of thousands of files uploaded- McAfee Weblog. Microsoft have come to the party however and are beginning to shut down these malicious SkyDrive accounts (some 24 hours after they had started), instead replacing the old malicious files with Sky Drive Welcome Notes as seen here. Today, Microsoft Live Labs is announcing the Volta technology preview, a developer toolset for building multi-tier web applications using existing and familiar tools, techniques and patterns. Voltaâ€™s declarative tier-splitting enables developers to postpone architectural decisions about distribution until the last possible responsible moment. Also, thanks to a shared programming model across multiple-tiers, Volta enables new end-to-end profiling and testing for higher levels of application performance, robustness, and reliability. Using the declarative tier-splitting, developers can refine architectural decisions based on this profiling data. This saves time and costs associated with manual refactoring. In effect, Volta extends the .NET platform to further enable the development of software+services applications, using existing and familiar tools and techniques. Project Shutter on Windows Live – Win Prizes by just taking photos! All residents of Singapore, Malaysia, Philippines, Indonesia, Thailand, India, and Mainland China above the age of 21, there’s a photography contest in town! Project Shutter – Live In My City is about showing your own city’s uniqueness through your city’s FOOD, CULTURE or ARCHITECTURE. So if you are good, creative and interested in photography, come join this contest and you stand a chance to win prizes which include HP Pavilion or HP Printers! What are you waiting for? Submission ends on the 29th June 2007! You can find more about it at Project Shutter’s website! Posted in Windows Live | Comments Off on Project Shutter on Windows Live – Win Prizes by just taking photos! I’ve just written a post on how big Windows Live is (basically my way of spreading a few links that aren’t very well documented around the web. It’s worth a look, there are at least 7 there which you might not even know exists. The Classic Mode will be the default view from Hotmail users – brand new users won’t be taken to the fully AJAX’d page but to the Classic interface for “ease-of-use” purposes. 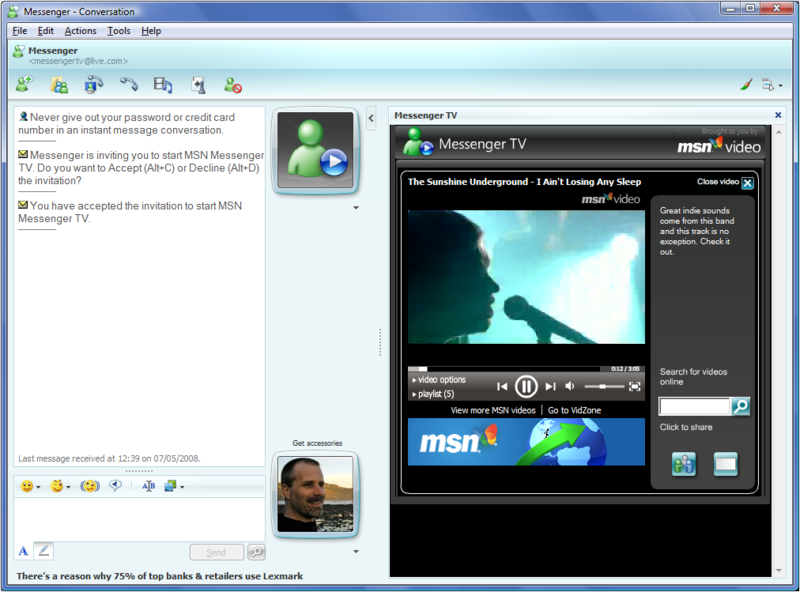 A new Today page rolls out, including what would be on your Today page in Windows Live Messenger. Search bar at the top of the page updated and tweaked slightly for the other themes. New icons added to the right click menus, and generally the right click menus have been added and updated. In Classic view, the top menu bar with “New, Reply, Forward and Delete” have been added to the bottom of each message for ease-of-use for longer messages. Check the new interface here at Windows Live Mail. Windows Home Server is certainly going to be a highlight for Microsoft in the home-user department. Itâ€™s going to be based loosely on Windows Vista but with some server additionâ€™s thrown in which make it easier for the standard home user to administrate and sort out their files and networking. Windows Home Server will be released sometime this year as a product for home users to centralize their files, media and folders. Storage will be easily expandable so you can have gigabytes, terabytes and even petabytes of storage as long as your hardware supports it. Youâ€™ll be able to access your files from anywhere on the web. Windows Home Server will be an operating system similar to Windows Vista and not so similar to Windows Server 2003 or Windows Server â€œLonghornâ€. 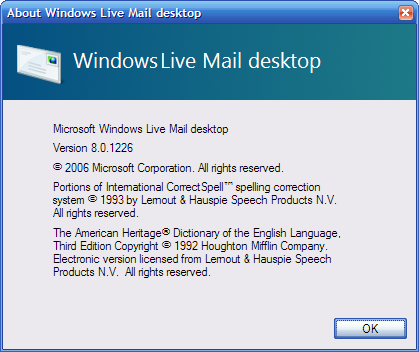 Windows Live will be involved in makingÂ remote access possible. Read full story at source. Upcoming interview with GPM of Windows Live – get your questions in! Â Â Â Mobile, Spaces,Â Domains,Â Family Safety, Premium Services andÂ Personal Expression. A highly respected and important figure for Windows Live in the UK, and she’ll be answering your questions on all that is Windows Live. I’ve worked with Philippa for some time in and out the London office during my internship-type-thingy, and she’s a wealth of knowledge for MSN, Windows Live and life within Microsoft. Get your comments in now! Simply add a comment, and she’ll pick out the best ones and we’ll have a reply here on MSBLOG in a couple of weeks. Closing date: Thursday, 28th December 2006.